Victor’s daughter Kayla received her yellow belt last week at Gracie Humaitá Ilha do Governador from Grandmaster Manoel. Victor surprised her at her promotion ceremony to her delight. The jiu-jitsu circle of knowledge is never-ending. Kayla gets a surprise visit from daddy Victor at her yellow belt promotion. Gracie Jiu-Jitsu: So easy a child can do it! Gracie Jiu-Jitsu is a constantly evolving martial art with hundreds of attacks, defenses and positions. But the beauty of the art is also in its simplicity. Powerful submissions like the cross-choke exploit weaknesses in human physiology and can be utilized by anyone, from Roger Gracie at the Worlds to Victor’s little girl, Kayla. Check out some tournament photos! Whether it’s your first competition or your hundredth, competing in a brazilian jiu-jitsu tournament is always an exciting experience. Competition allows you to test yourself, assess strengths and weaknesses in your jiu-jitsu game, and it builds a spirit of teamwork and camaraderie. Check out some of the Team Victor Huber competitors in action at the Relson Gracie Tournament held at UNF arena. We’re especially proud of each one of our kid competitors. Jiu-Jitsu is for kids, too! Gracie Jiu-Jitsu has gained popularity due to mixed-martial arts events like the Ultimate Fighting Championship. But jiu-jitsu isn’t just for guys in the octagon. 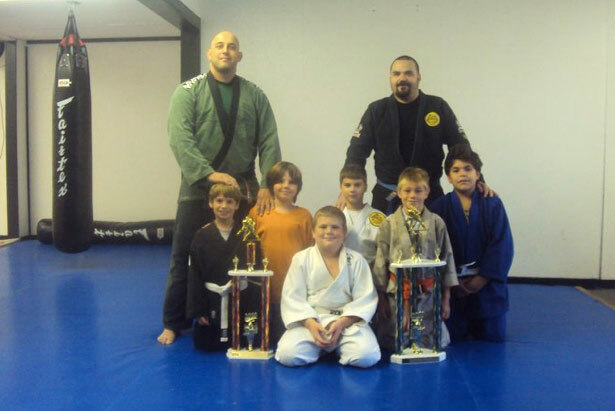 Jiu-jitsu is great for children, too! It’s a a drug-free antidote for our AD/HD world!